The Brise Soleil Cantilever Roof are made of wood and steel structures , ancillary to the main structure , conform to different local laws , in some municipalities , prevedeno enabling the assembly of sun permeable structures. In fact , these structures made ​​of wood , allow to filter the sunlight and decrease the radiation on terraces , balconies or verandas , allowing you to enjoy a cool, shaded environment during meals or a relaxing moment . 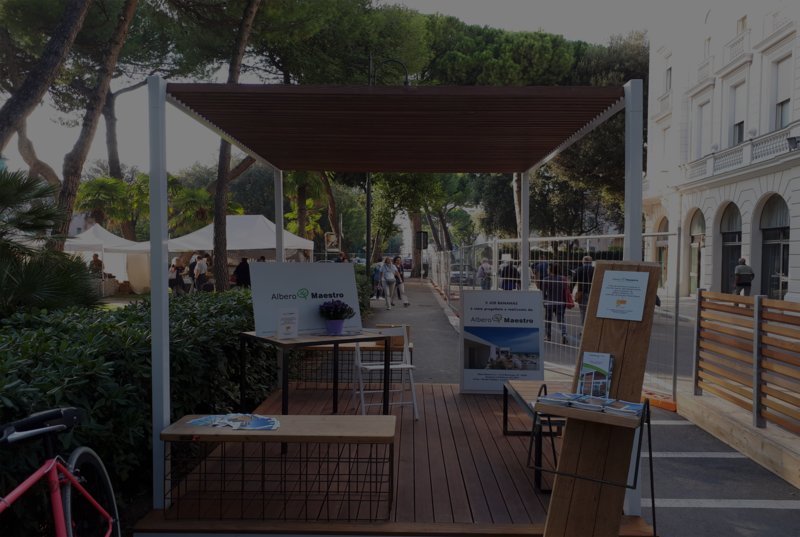 The pergola or canopies are made ​​of wood with steel support structure or aluminum , their main function is to screen the sun’s rays and therefore can be made with different angles as needed shading . The wood used to achieve these elements is chosen with care according to the needs of the buyer and the aesthetic performance of the product , it is treated so as to ensure full durability and stability over time , without the need for maintenance and painting operations . 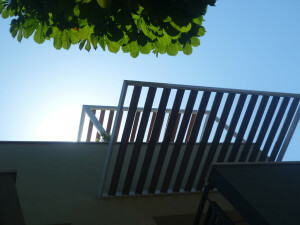 Pergolas, sheds, canopies or sun shading made ​​with these wooden modules allow you to enjoy areas of the home that would otherwise remain unused ; in large terraces or gardens exposed to the sun and wind or prying eyes , the modules undergo the need for privacy or a structure that can repair , shading and shield radiation. 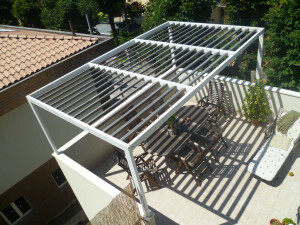 Structures such as pergola, also suitable for constructing gazebos or garage , have developed as a result of a project , requested by individuals or architectural firms , in which all required specifications are entered in the customer, and through the organization of engineers and technicians Tree Master , develops the plan for the installation of the structure . The products made can largely be assembled also by not specialized laborers , in fact Albero Maestro has studied a particular locking system interlocking that , with simple screws and bolts , permits the laying of the product in a simple way it’s fast. The dispatch of the product occurs through trays or kits functional to installation itself, but for special applications are available for transfers throughout Italy experts Albero Maestro , specialized and trained installers to operate on construction sites and supervise the work .